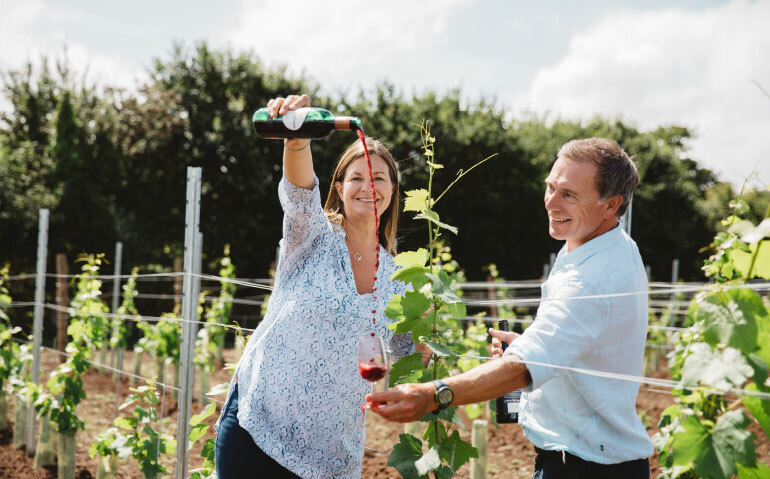 South West Wine School was launched in October 2018 by RAW founders, Hayley and Jonathan Reynolds, to provide first rate wine education across the region. So it made perfect sense to have the RAW team supporting! Hayley has spent the last 20 years associated with the wine industry and has a WSET diploma, Jonathan shares her passion and is WSET qualified. The school brings together the best wine educators in the South West including Rebecca Mitchell DipWSET, Susy Atkins, Stephen Barrett and Liam Steevenson MW. The public launch coincided with Dartmouth Food Festival and RAW pooled their contacts in the area plus national wine experts from The Times, Guardian and Sunday Telegraph to host a successful speed tasting in Browns Hotel. Press coverage included most prominent regional titles and food magazines. The press launch took place at Kenton Park Estate and was organised by RAW whose extensive press contacts, combined with connections across the local food and drink industry, ensured the event kick started what promises to be a very fun, educational and exciting addition to the South West drinks scene. RAW set up and continue to manage all four major social media platforms for South West Wine School, growing the local and national audience in order to drive awareness and sales of courses and tastings. The digital element is a prominent marketing tool, due to the wine industry’s growing prominence on instagram in particular.